Introducing iBeacons - bluetooth zones inside your home. iBeacons are an Apple technology : "a new class of low-powered, low-cost transmitters that can notify nearby iOS 7 devices of their presence." Within VeraMate, register an iBeacon which can then be used to trigger certain scenes and devices when you come close, or move away from. Go to the iBeacon setting screen (selecting the setting "cog", and under the "more" menu). This will start scanning for near by, known, iBeacon manufacturers. Unfortunately Apple does not allow scanning unknown devices, so if your's is not appearing here, you need to tell VeraMate. UUID's: If your iBeacon isn't appearing, you will need to find the "UUID" for your iBeacon, which should come with the instructions with your iBeacon. Enter the UUID in the iBeacon registration screen, which will then be able to scan for your device. Register: Once you see your iBeacon in the screen, select it to register it with VeraMate. This will then be stored so you can use to trigger your devices. Use: Find the device or scene you wish to have triggered by the iBeacon and enter edit mode. (Edit Mode: Hold down a button for 2 seconds). Press the scene/device to open it's settings, and select the "GeoFence" tab. You will see your iBeacon here with multiple settings. Activate, and choose your requirements - eg, when you come within one of the ranges specified of "immediate", "near", or "far". Ranges can not be accurately determined, but instead uses these rough estimates. NB: Not all devices can be triggered by an iBeacon, so if you do not see the GeoFence tab, you will unfortunately not be able to specify it here. An easy work around however is to create a scene to activate what you wish. 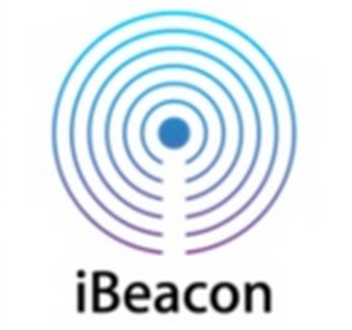 There are 2 main reasons why you may not see your iBeacon. Apple require you to authorize an app to use such functionality - please ensure you have enabled location services and background app refresh from within apples settings - also you will need to make sure your bluetooth is enabled. It is also possible you haven't specified the correct UUID - you will need to double check this is correct for your iBeacon.